Alright, gang. 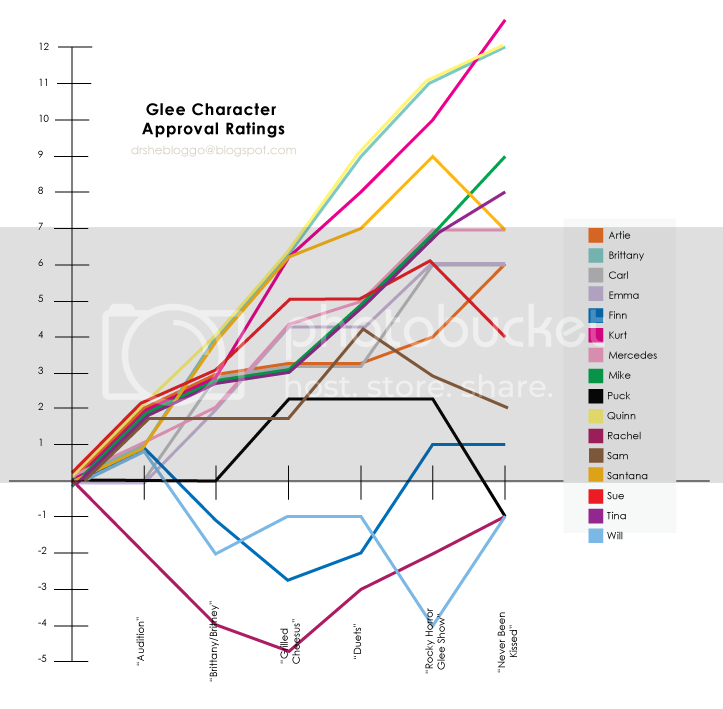 My somewhat arbitrary character approval ratings are back, updated for "Duets," "Rocky Horror Glee Show," and "Never Been Kissed." We're really seeing some breaks out of the pack! Kurt, Brittany, and Quinn have separated themselves nicely, and Rachel, Finn, and Will are pulling themselves out of the negatives. Puck, Sue, Santana, and Sam have dipped a bit in recent weeks. Check it out, math nerds! Who doesn't love a good graph?